Deb joined Clear Perspectives when we started in 2008. 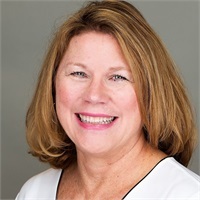 She has over 30 years of professional and volunteer project management experience and a degree in Chemical Engineering from Michigan State University. Deb specializes in retirement planning, holding certifications as a Chartered Retirement Planning Counselor and National Social Security Advisor. Deb and her husband Jon reside in Sharonville, Ohio. They have two grown children.